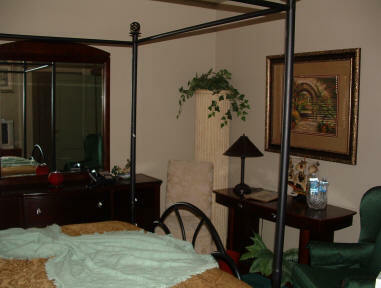 This room features a Queen Size Bed, Private Bathroom Bathtub w/shower, Windows facing east, Ceiling Fan. This room is located on the Third Floor. 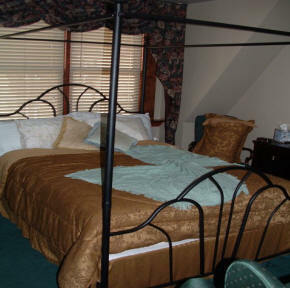 This room is available together with "The Owner's Suite" as a Full Suite -- call 412-231-6544 for availability and special rates.